The Men's Caldorado™ II Insulated Jacket from Columbia is a lightweight trail jacket built for comfort and performance in variable conditions. Features include 100g Polartec® Alpha insulation, stretchy moisture-wicking fabric, water-and-stain repellency, zip chest pocket, and reflective detail for added visibility. The Men&apos;s Caldorado™ II Insulated Jacket from Columbia is a lightweight trail jacket built for comfort and performance in variable conditions. 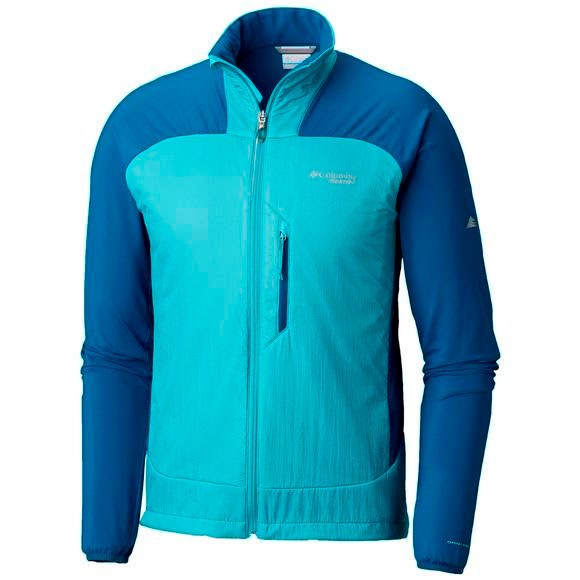 Features include 100g Polartec® Alpha insulation, stretchy moisture-wicking fabric, water-and-stain repellency, zip chest pocket, and reflective detail for added visibility.